My tour are very good for anyone who love taking photos since we are going to one of the most popular floating markets of Thailand and Thai Culture Life Style Museum. Enjoy the local and vintage vibe from these two places. Terrific! Arrive at Damneon Sadauk Floating Market. Enjoy with your time to check out the surrounding of the market. Let's take a boat ride around the market. Then, we will grab our lunch, before heading over to our second destination. Arrive at Siam Cultural Park where you can learn an ancient Thai life style and cultures. It'd feel just like you're going back in time. 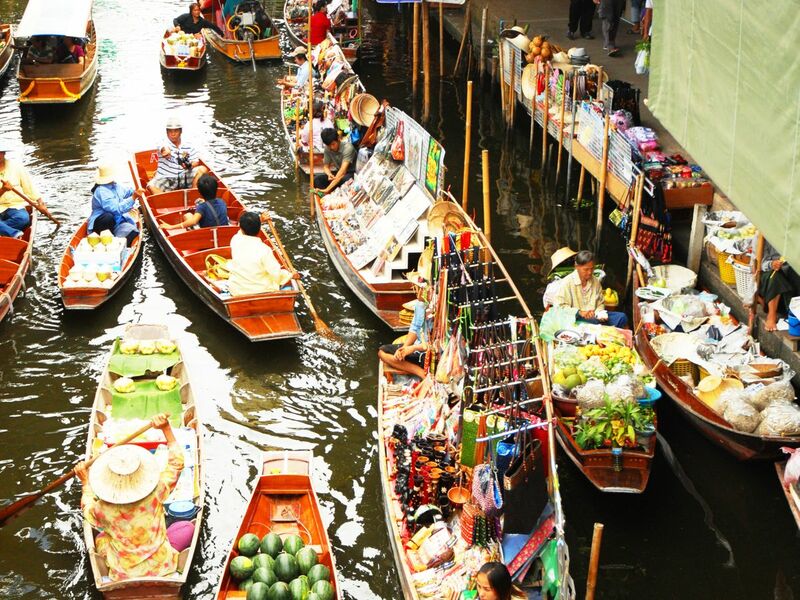 The Damnoen Saduak Floating Market is a very attractive place for tourists to see the old style of living and trading goods from small boats. Plus, the museum I'm going to take you are very nice and filled with the vintage vibe.